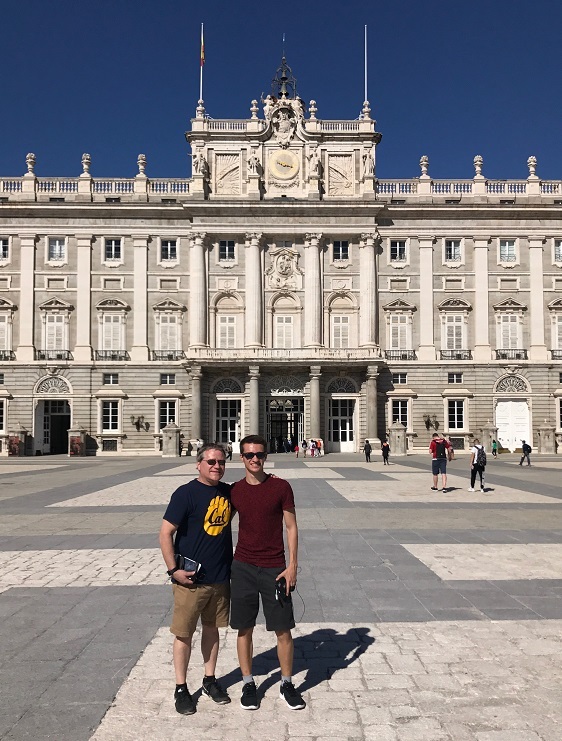 Jacob Kahane ’21 spent his first semester as a Syracuse University student at the University’s Madrid program. It was a time of intensive learning, exploration of cultures and personal growth—a once-in-a-lifetime experience, Kahane says. To other students thinking about the possibility of studying at any of the Syracuse Abroad centers or programs, he says go for it. “Going abroad helps you find the best version of yourself, and you will come back a better person than when you left,” he says. Kahane, along with several other students—global ambassadors—who have studied abroad, will share their stories and experiences during Syracuse Abroad Day, Thursday, Feb. 7, from noon to 3 p.m. in the Ilene and David Flaum Grand Hall in the Whitman School building. Syracuse Abroad Day offers students a chance to hear about the more than 100 program options in 60 countries. Students can learn about financial aid options—including the new Syracuse Abroad Summer Program Merit Scholarship—and how study abroad fits with any curriculum. Syracuse Abroad staff will be available to answer questions. “Syracuse Abroad Day is a great opportunity for students considering studying abroad to ask those detailed questions of students who’ve been there and know what it’s like,” says Erika Wilkens, assistant provost and executive director of Syracuse Abroad. Students can enjoy light refreshments and international food and pick up Syracuse Abroad swag. This also will be the only chance this year for students to meet with representatives of Syracuse Abroad’s partner programs around the globe. Kahane, by participating in the Syracuse Discovery Madrid program, had the opportunity to study abroad even before he set foot on the Syracuse University campus. Along with his academic program and field study trips to different regions of Spain, he explored Madrid and traveled across Europe, visiting such cities as Paris and Rome. 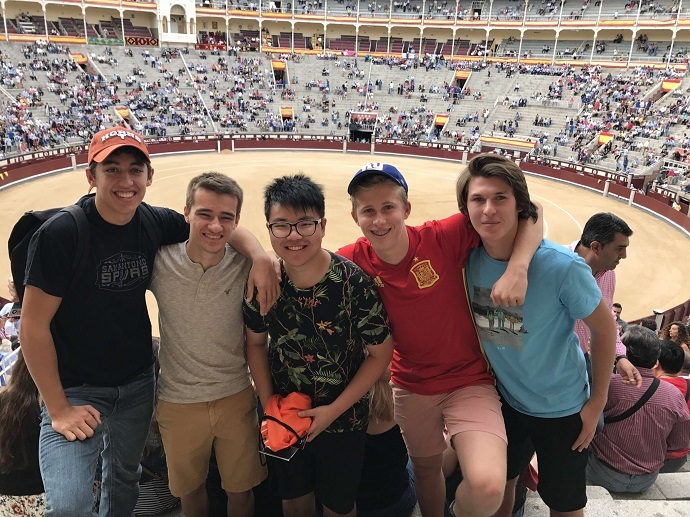 The experience opened his eyes to new foods, cultures and ways of life and allowed him to build relationships with his host family and the instructors at the Syracuse Madrid campus, along with other students studying abroad. “I am still in contact with my host family, some of my instructors and many of the students who became very close friends of mine,” Kahane says. Kahane encourages other students to think about the possibility of studying abroad and attend Syracuse Abroad day. Connecting with Syracuse Abroad alumni: Read about the experiences of Syracuse Abroad’s global ambassadors and reach out to them for advice. Setting up an appointment: Meet with an admissions counselor or stop by for general advising. Starting an application: A NetID is all that’s needed to get started. Upload a transcript and respond to three short questions, and your application will be nearly complete. Checking out Syracuse Abroad’s calendar of events.